We live in a new, mobile-centric world where more people every day use smartphones and tablets to manage their lives. The content being captured with today’s mobile devices is significantly more advanced and sophisticated than previous digital data, generating much larger file sizes, and thus requiring devices with higher performance and larger storage capacities. New versions of mobile operating systems, such as Android Marshmallow, Nougat and Oreo, allow external memory card storage to be treated as if it was embedded memory. This new class of expandable and adoptable storage requires a new level of removable memory performance. Reading data randomly involves a higher number of seek operations than sequential reading, delivering a lower rate of throughput. The same is true when writing data randomly. Therefore, increasing random input/output (I/O) in mobile devices is key to achieving higher performance, helping consumers do more with their smartphones and tablets. To address the new wave of memory-intensive applications that require adoptable storage and a heightened dimension in memory card performance, the SD Association (SDA) released its Application Performance Class 1 (A1) specification. When implemented within memory cards, it delivers random read performance of at least 1,500 input/output operations per second (IOPS), and random write performance of at least 500 IOPS under the specified conditions. Deployed in billions of smartphones and tablets globally, memory cards using SDA specifications have earned consumer trust around the world for reliability, backward compatibility and high interoperability. The enhanced performance gives mobile-first consumers the latest speed and capacity advancements in personal data storage. Additionally, the A1 spec enables mobile devices to quickly open applications and process accompanying tasks locally, such as navigational maps, music, on-screen graphics, saved profiles and in-app permissions. The A1 spec progresses microSD memory card technology further, with a few factors driving industry need. There are more than 2.6 billion smartphone subscriptions globally, and this number is expected to grow to 6.1 billion users by 2020. Users of smartphones expect more from their devices, as shown by the significant increases in application downloads over the past few years. In the United States alone, consumers are expected to download about 28 percent more mobile applications in 2017 (37.3 billion) than they did in 2016 (29.2 billion), and 100 percent more by the end of 2021 (74.7 billion). Instagram estimates that more than 80 million images are uploaded on its site daily. Snapchat estimates more than 10 million video views daily. Facebook estimates more than 100 million hours of video are watched on its site daily, with more than 8 million views. Smartphone and tablet consumers globally want to load and launch their mobile apps more quickly, download more apps and do more with their mobile devices. Proprietary research of almost 700 smartphone users (conducted by Western Digital in January 2017) found that more than 50 percent of users said slow app loading and launching was a problem and wanted an improved experience. The enhanced random read/write performance delivered by the A1 spec is a game-changer for loading and launching apps more quickly. The data consumers capture today is significantly more advanced than in years prior, meaning file sizes are larger. One example is 4K Ultra HD (UHD) video. Capturing four minutes of video with a resolution of 1080p requires about 600 MB of storage capacity is, but that same video clip at 4K UHD video would require about 1 GB of storage capacity – about a 67 percent increase in file size. When it comes to music streaming, a standard song streamed to a smartphone requires about 3 to 4 MB of storage capacity. If that same song is hi-fi (high fidelity), about 15 to 30 MB of a smartphone’s storage capacity would be required per song. Therefore, if a user downloads 1,000 hi-fi songs to his smartphone in a year, he would need about 30 GB of storage just for music, exceeding the embedded storage capacity of most phones. The ability to download music is so important to consumers that several of the top global music streaming services offer downloadable apps for offline listening. Music and video are downloadable to the same memory card, requiring only one card slot to support both. This ability to save offline content for later viewing is yet another source of content that is filling up consumers’ memory card storage. The target consumer that would most rely on A1-enabled microSD memory cards are millennial (ages 18 to 34) owners of low- to mid-range Android-based smartphones and tablets, and/or DSLR or handheld video cameras. This demographic uses smartphones for almost everything; has a high propensity to shoot full HD video and hi-res photos; loads smartphones with tons of music, videos and movies; and does not want to worry about exhausting memory requirements. Evolving from this target group are mobile-first consumers – the early adopters who want their smartphones equipped with the latest technologies and new ways to use them. Driven largely by these millennial owners and their mobile-centric lifestyles, consumers are increasingly using smartphones and tablets, instead of desktops and laptops, to shop online. 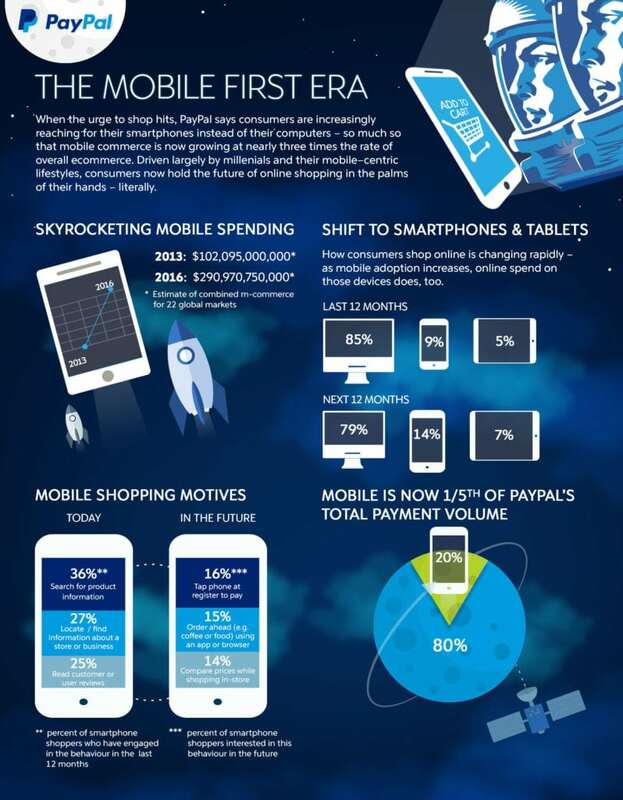 According to PayPal, mobile commerce has been growing at nearly three times the rate of overall ecommerce. The availability of memory card slots in smartphones has never been stronger, according to Strategy Analytics, as 97 percent of smartphone models announced in Q1 2017 featured at least one memory card slot. This represents the highest quarterly figure on record since the research firm began tracking this metric. Many mobile device manufacturers today rely on microSD memory cards for storage capacity expansion, and in combination with the A1 spec, will soon deliver next-generation smartphones and tablets with enhanced A1-enabled performance, allowing users to download more apps and open them quickly. Driven by the skyrocketing use of smartphones and other electronic devices as well as collection of personal data that require larger storage capacities, the worldwide market for memory cards is projected to reach $11.2 billion by 2020, of which microSD cards will be the largest segment by 2022. The SD market is supported by increases in seasonal mobile device sales, enhanced technological performance and the availability of rich multimedia content. The enhanced performance delivered by the A1 spec enables mobile devices to quickly load and launch applications directly from a supported card, and to process the tasks locally, freeing internal memory to address higher-priority storage tasks. Users of Android-based mobile devices can add hundreds of gigabytes of additional storage capacity through A1-enabled microSDXC cards for apps and other data that, in the past, had completely consumed the device’s internal storage. The A1 spec continues to work well for most users and application developers, but a demand for higher performance in some products and applications is expected in the future. As such, the SDA released its Application Performance Class 2 (A2) specification, designed to randomly read data at 4,000 IOPS and randomly write data at 2,000 IOPS. This spec enables even faster loads and launches of memory-intensive applications from A2-enabled microSD cards – paving the way for consumers and industrial users alike to have better removable storage options and get even higher performance from their mobile devices. Dinesh Bahal is the Vice President of Product Management within Western Digital’s Client Solutions group, responsible for directing product lifecycles for all retail branded products that include WD, SanDisk and G-Technology. Bahal can be reached at Dinesh.Bahal@sandisk.com.